I am currently an associate veterinarian at Marlboro Animal Hospital in Massachusetts. I was working as a veterinary technician in rural Ohio for several months between starting the MAPP program and finishing my Bachelor of Science (BS). The MAPP program stood out to me as very different from any other program I was considering. I had just finished my undergraduate degree and had been very involved in veterinary research, and the other Masters programs I was considering were focused on similar research in biology or biomedical sciences. At the time I was torn between pursuing a career in a science field or dedicating my future to animals, their welfare and their care. 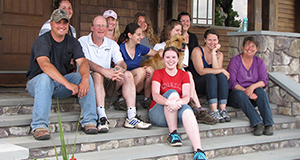 The MAPP program seemed like it would be one that would allow me to expand my horizons instead of narrow them down to a specific science, and I felt it would equip me with the skills needed to make a real, palpable difference in the lives of animals. I feel that the MAPP program allowed me to become a very well-rounded veterinarian. 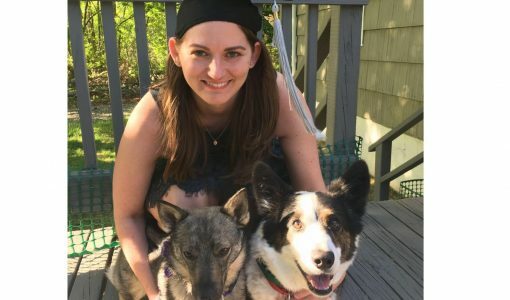 I have a better understanding of the different ways people relate to animals than I had before completing my MAPP degree, and that has had a huge impact on how I relate to and communicate with my clients. I am a better advocate for my patients as well as shelter animals, laboratory animals, food animals and wildlife than I would have been without the thorough education about those groups provided to me by the MAPP program. I feel that a veterinarian has a responsibility to serve as a source of knowledge about all animals, not just my specific patients, and the MAPP program has both provided me with information on non-companion animals to share with my clients as well as taught me how to stay up to date on animal related issues and advocate for animals. My MAPP project was a survey based study regarding the use of and interest in scientifically studied and validated husbandry practices among Thoroughbred breeders in Massachusetts. The project helped me gain an insider’s perspective of the current state of Thoroughbred breeding in the state and gave me a better appreciation of the challenges faced by race horse breeders. Working with Dr. Carl Kirker-Head as a mentor and being able to witness his interactions with horse breeders truly demonstrated to me the value the words of a veterinarian can have to animal owners and helped push me in the direction of pursing my DVM. I found the MAPP program to be a fantastic experience that truly helped me shape my career goals. It is a valuable program for anyone, whether they are considering veterinary school or another career.